Trunk or Treat, Saturday October 22nd. 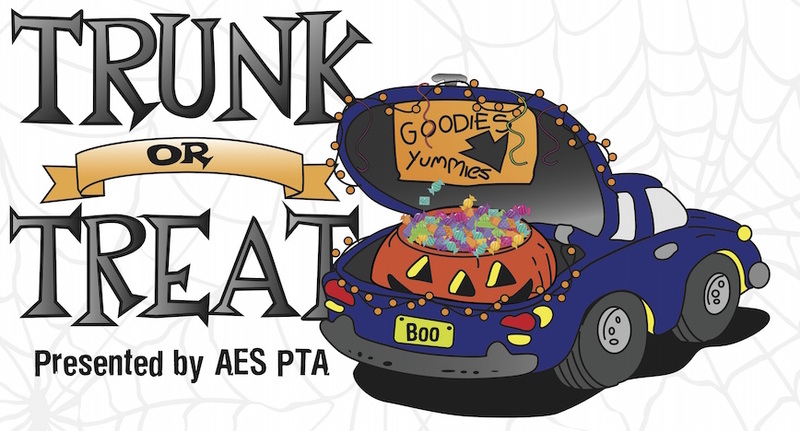 The PTA’s annual, FREE Trunk Or Treat event is fast approaching on Saturday 10/22 at 2:30pm. Bring your decorated car and some candy or trinkets to hand out, and join in the fun! We’re looking for a few more volunteers to help run our game booths, particularly the 3rd and 5th grades. You can also help by donating some extra candy to restock the cars and booths and make sure we don’t run short. Please contact Andrew Law with questions. To volunteer, please click HERE. Remember the delicious cheesecake you tried at Back to School Night? Well, they’re back and ready to earn funds for AES! Information about this new and tasty fundraiser will be coming home today. Not only will AES earn 40% of all sales, but students will earn great incentives like a lanyard emoji and even a DJ Party! All cheesecakes and cakes are frozen and will be delivered Nov 16th…just in time for the holidays! Parent volunteers will be needed to hand out student prizes and deliver purchased items. Volunteers will get a special thank you gift from Piece of Cake. Sign up to help HERE. A portion of our school funding is directly tied to the percentage of families completing a meal application. Every meal application counts, even if you don’t qualify for free or reduced lunch or you decide to opt-out once in the form. The higher the percentage of families who complete the form, the more money AES receives to support the program for our children. Please help us reach our goal of 100% participation! The link to the meal application can be found HERE. Advocacy for children and education is what makes PTA unique, and California State PTA has announced their positions on ballot measures for the November election. Please take a moment to read about the key points of each measure and CA PTA’s rationale for support HERE.